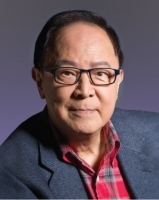 Dr Chung, Chairman of the Exploration Theatre, is a veteran actor, director, television producer and programme host, as well as a theatre educator. He is Honorary President of the Hong Kong Federation of Drama Societies, Honorary Artistic Advisor of the Hong Kong Repertory Theatre and Advisor of the China Theater Association. Dr Chung was commended by the HKSAR Government with a Bronze Bauhinia Star and a Silver Bauhinia Star in 2002 and 2013 respectively to honour his outstanding achievements and contributions to the development of the Hong Kong theatre.